Mouser Electronics is now stocking the STM32WB wireless microcontrollers from STMicroelectronics (ST). Supporting Bluetooth® 5.0, ZigBee 3.0, and OpenThread connectivity, the dual-core STM32WB microcontrollers are ideal for a broad range of IoT applications, including wearable devices, home security products, smart lighting, fitness and medical devices, industrial appliances, and asset tracking. 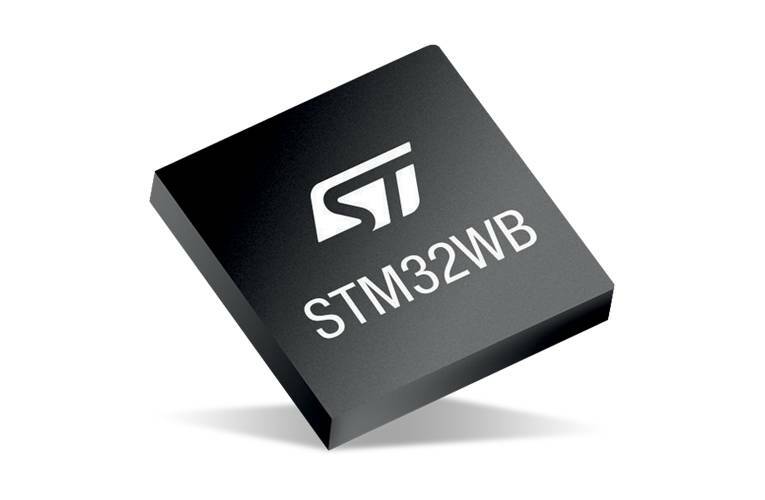 ST’s STM32WB wireless microcontrollers, available from Mouser Electronics, are based on ST’s low-power STM32L4 microcontroller, and offer a rich peripheral set with power-conscious performance. Centered around a 64 MHz Arm® Cortex®-M4 application processor core and an Arm Cortex‐M0+ network processor core, with up to 1 Mbyte of on-chip flash and 256 Kbytes of SRAM, the microcontrollers integrate a 2.4 GHz radio transmitter optimized for low power consumption and high RF performance.